Register For A Free Account Today! Get the latest Polaris Slingshot news here! Do You Own A Business? 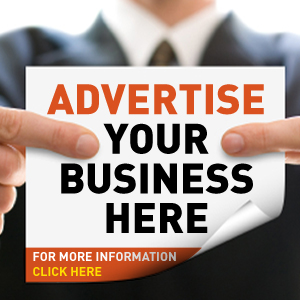 Advertise With Us For Free! Show us your Slingshot Today! Welcome! Are you new to the community? Then introduce yourself here and tells us a little bit about you and your Polaris Slingshot. A place to have a thread dedicated to your Polaris Slingshot. Having issues with your Polaris Slingshot? Notice an issue or maybe a bug that hasn't been reported yet? Post it up here. Discussed anything related to turbos, turbochargers, and superchargers here. 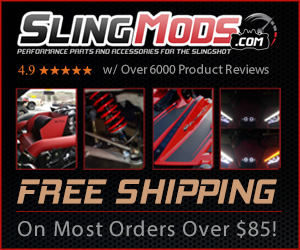 Discuss all things related to the Polaris Slingshot brakes & suspension system here. Latest: Dustless break pad to replace stock? Discuss everything related to the Polaris Slingshot wheels & tires here. Latest: Peel & Stick Front Splitter Center Accent Kit for the Polaris Slingshot + Discount!! Welcome Mr. Eddie to the community our friend. Welcome Sixdux to the community our friend. Welcome LiteYourSlingz to the community our friend.